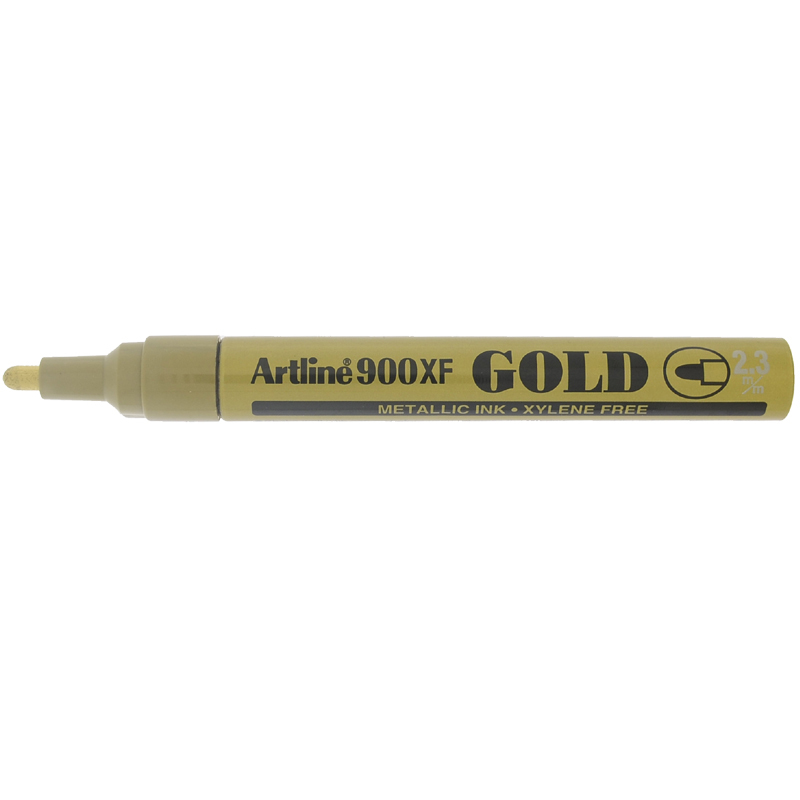 Artline 900XF Metalic Ink marker is rich in gold and silver pigments and create an excellent metallic effect, available in gold and silver with an acrylic bullet tip and a writing width of 2.3mm. 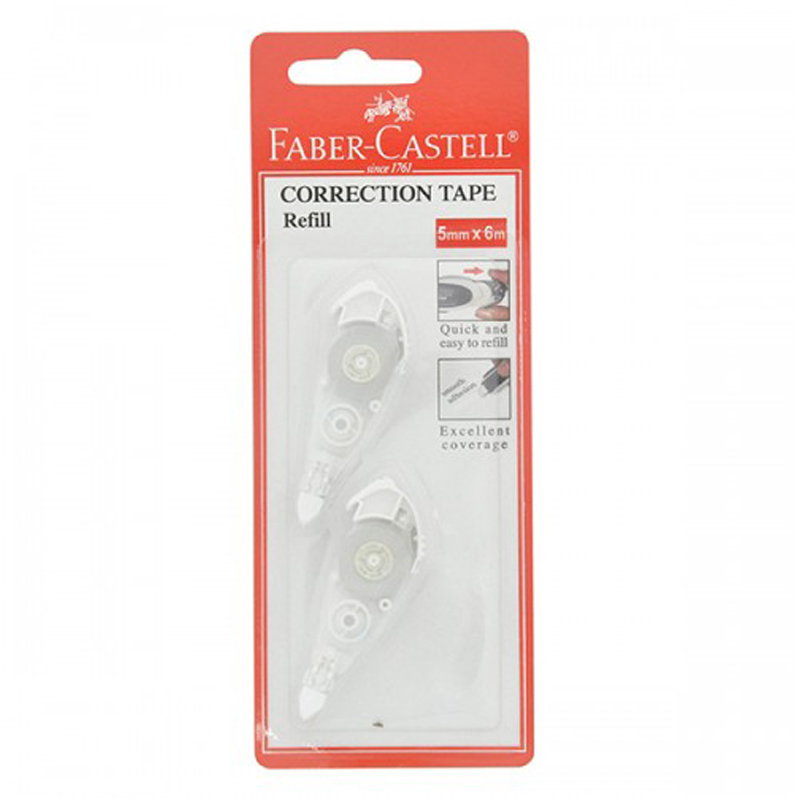 Ideal for use on porcelain, glass, metal, wood, rubber, card and plastic, with the colour remaining crisp over a long period of time. 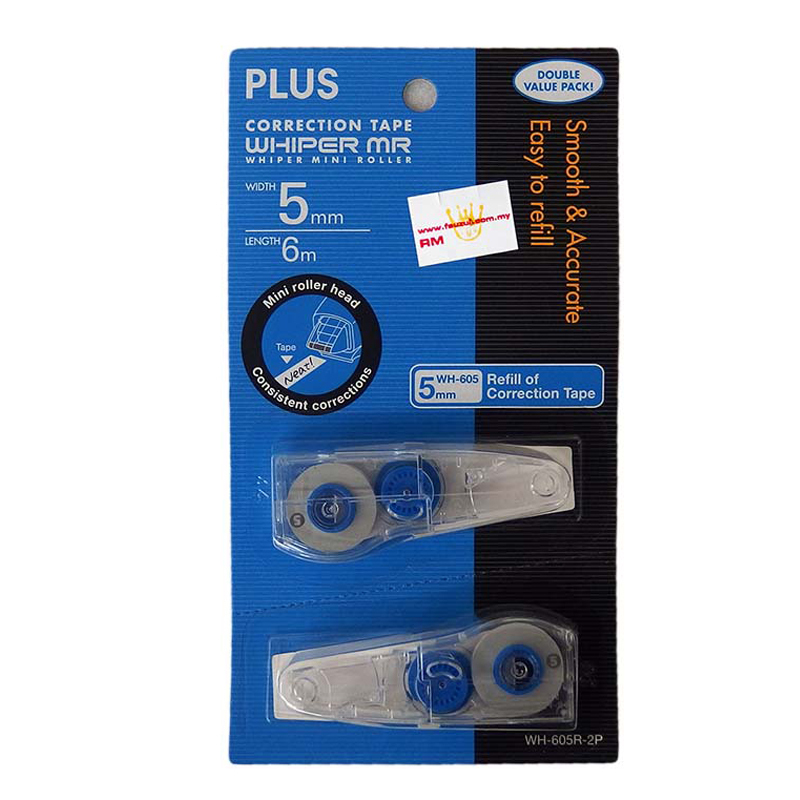 They are quick drying, acid and Xylene free as well as being highly water and fade resistant. 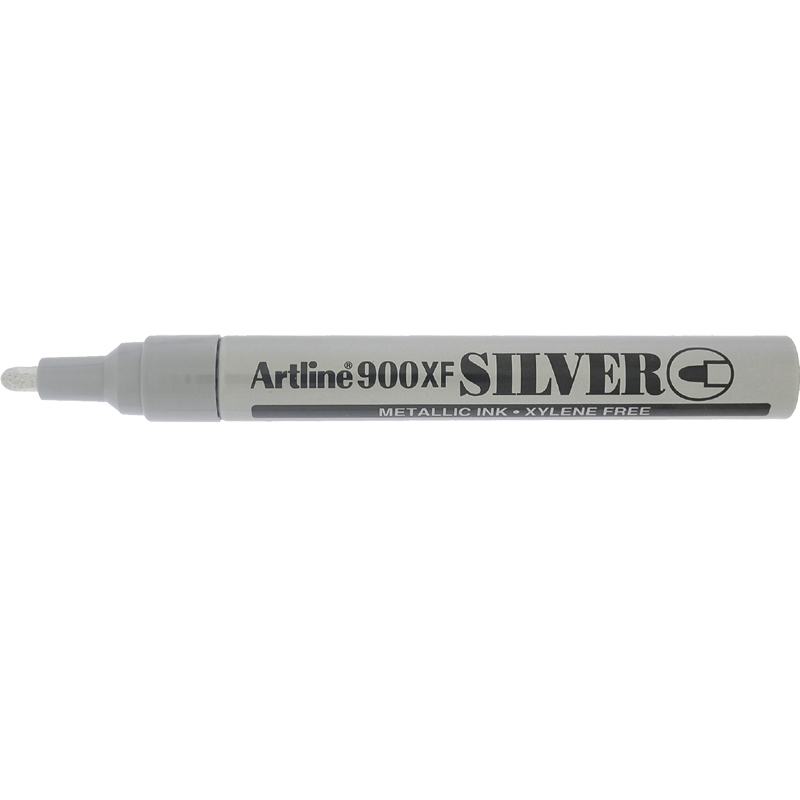 The XF Metalic Ink markers are completely opaque even on dark or transparent surfaces.